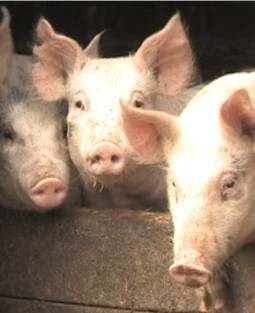 A comprehensive inventory of 108 pork production systems in the EU and competing countries has been compiled. Among the 84 pork production systems identified in 23 European countries, 40 were regarded as conventional whereas the remaining 44 were considered as differentiated of which 68% made an animal welfare claim regarding their products. The learning resource includes information about the housing systems in this study. Different housing and husbandry systems are used in pig production depending on the age and production stage of the animal (dry and pregnant sows, farrowing sows, piglets, boars and slaughter pigs). Legislation, consumer attitudes, local tradition and size of farm also influence the choice of housing and husbandry system. New knowledge on the needs of the pig has been generated over recent decades which has resulted in the development of new animal welfare-friendly pig housing systems. Findings from a project on semi-natural conditions for pigs are the starting point for this resource. Examples from six different commercial systems will follow. Every system is presented with video clips and production figures. Over time this learning resource will include many examples of animal welfare-friendly housing systems. Please, help us to collect some good examples!